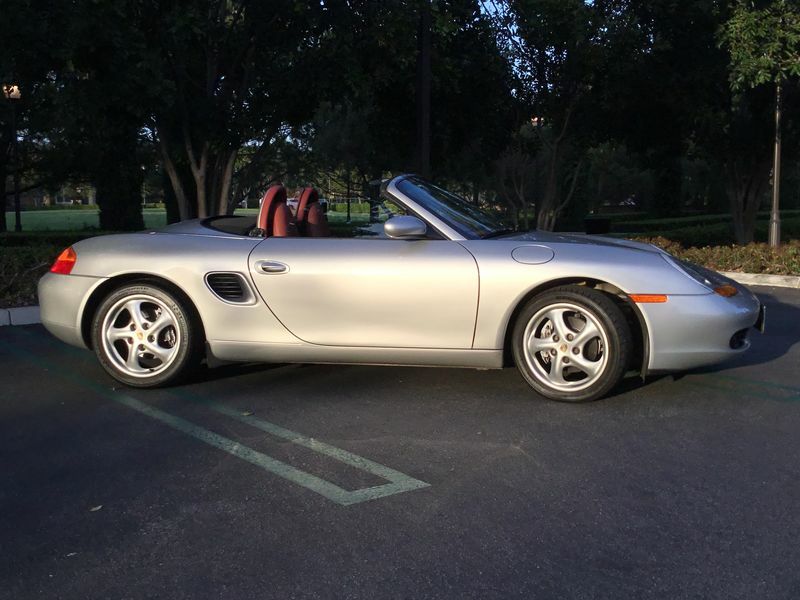 Selling our '98 Boxster: silver/red with almost 130K miles. Wife bought the car new here in SoCal. All books, tools, both keys. 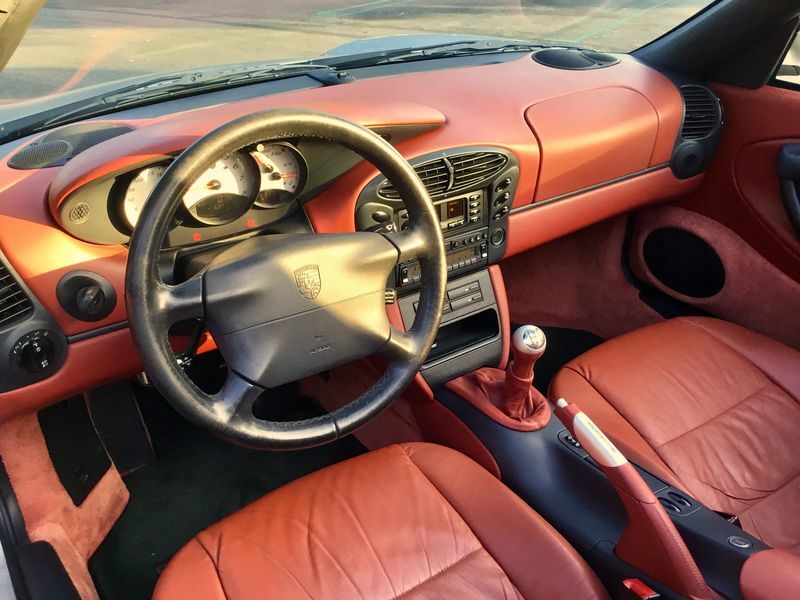 Always lovingly maintained by qualified Porsche shops and we have all the receipts (Pioneer Porsche in San Diego, Pacific Porsche, then Dutch Treat in Manhattan Beach and now Hergesheimer Motorsports in Orange County). 1. JUST replaced the IMS bearing with ceramic LN Pro model that should last forever. New clutch at the same time. 4. Only non-stock item are the higher performance Bilstein shocks and struts on the car about 30K miles ago--and we've driven very mildly ever since. They still feel great, and really improved the driving experience. 4. Recently re-plated all the lug nuts in cadmium (the way these rust drove me crazy). 5. Recently replaced both headlights--lenses are crystal clear. 6. Rear window replaced a while ago, still very clear and unscratched. 1. 4 main cosmetic blemishes: rock chip in hood, scratched driver's side rear wheel (off road brush with bushes avoiding animal back in 2008, that was the only damage, no mechanical or bodywork problems), and driver's door keyed. And most embarrassing, a ding in front bumper with paint spider-webbed. 2. All wheels have various levels of curb rash. 3. Original windshield which looks great but has typical micro-chips that make for a bonus constellation of stars at night. 4. The top is in good shape and works great but does have some mild abrading on the driver's side. Only that we have to sell it. After 20 years wife is ready for something new and we don't have room for all the cars. We'd like this one to go to a good home. Thought we would start here. A perfect ride for the big 20 year celebration! Last edited by MartyDavis; 08-03-2017 at 01:50 PM. Reason: I forgot the price! 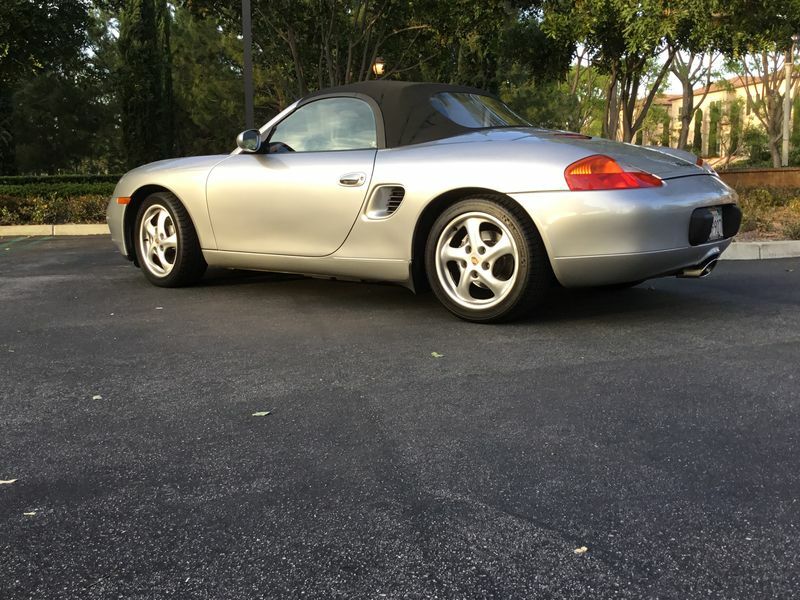 Marty, you have a very nice and clean Boxter! Thanks, Gilles. That is indeed our neck of the woods--you must have seen us driving around! and tried to say hello to the driver, but he simply ignored me and took the 241 southbound... was that you? Last edited by Gilles; 07-17-2017 at 11:19 AM. OK, I don't seem to be getting much interest here...maybe it's the mileage? That just means she hasn't been sitting! Last edited by MartyDavis; 07-18-2017 at 04:17 PM. Reason: misspelled 'mileage'?!?! Interested in seeing this car if it does not sell on BAT. For the record, this car sold on BaT for $8,405 (after 30 minutes of spirited bonus-time bidding!). Quite exciting. The buyer was a very knowledgable Porsche owner (and well-known racer), and the verdict was the car exceeded expectations in person. Bought for his son, which seems like a perfect next life for this car. All in all, extremely satisfied with the BaT experience; a great way to get the car in front of a discerning but enthusiastic audience. 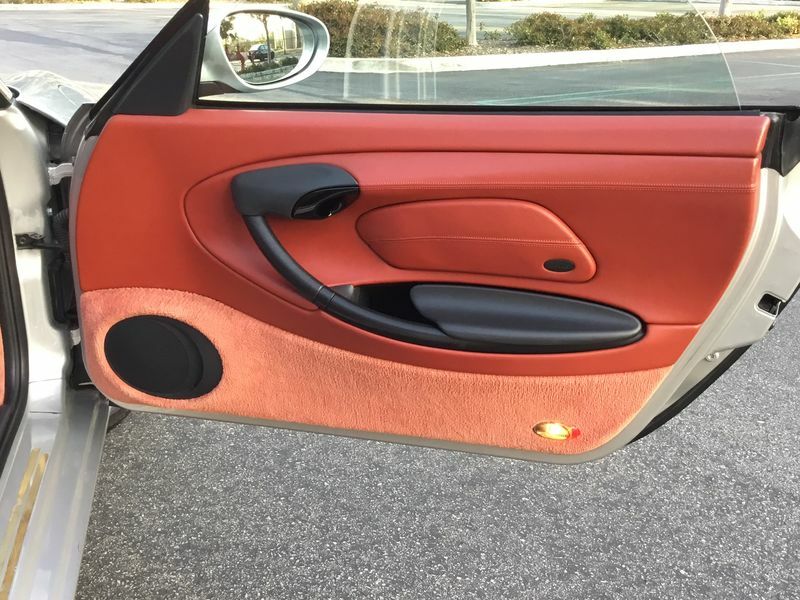 We didn't know what price we'd make--our primary aim was just to showcase the car for someone who could appreciate it for what it is, and the BaT forum really allowed us to do that.